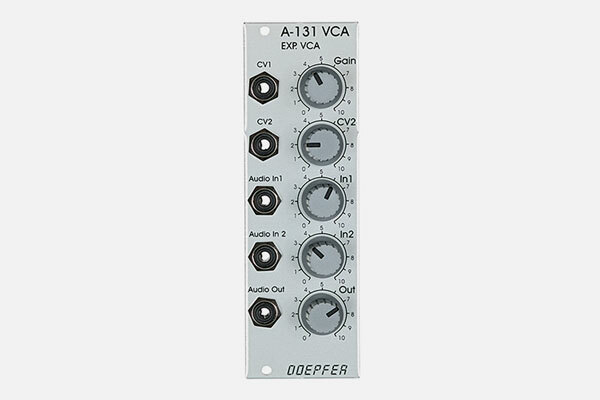 Module A-131 provides voltage-controlled amplification. For audio signals, you would normally use the exponential VCA (A-131), and for control voltages, the linear VCA (A-130). It doesn't always have to be that way, though.